In the world of marketing, the internet is an unforgiving ocean and the wealth of cyberspace available online is beyond measure. Many websites get lost in the void and because of this countless businesses fail. When 75% of web-surfers never travel beyond the first page of Google, you need to be at the top of the rankings to maximize your business’ money-making potential. My name is La’Von Gittens and I am your Website Ranking Realtor and SEO Content Writing Specialist. 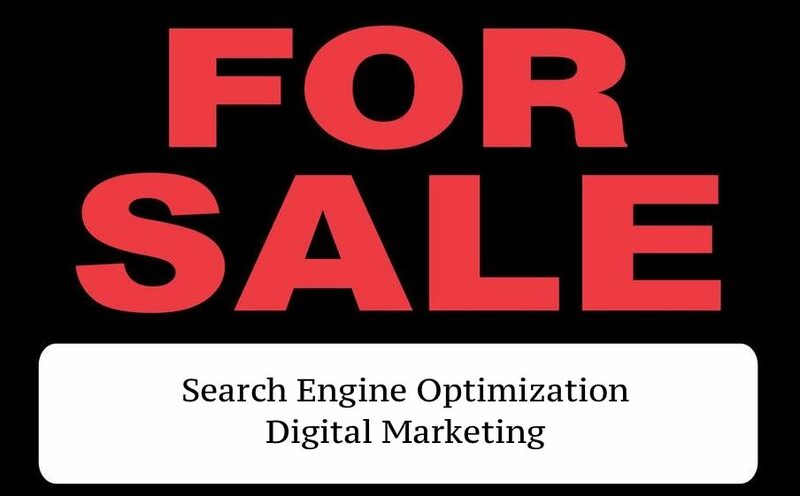 With a small team I sell desirable website rankings (attention-grabbing internet spots) through creative content writing and other SEO (Search Engine Optimization) marketing strategies. Most people choose between the first three or four options when searching on Google. As a business owner, you have a lot on your plate, let us find you a stunning internet spot that will not only earn your business more money, but keep all of your cyber neighbors envious. Welcome to the world of Web-Ranking Reality. Today, search engine optimization is essential to the success of any business or restaurant. You need to make sure your website is easy for new clients to find and valuable enough to keep old clients returning. Search engines such as Google, Yahoo, and Bing formulate ever-changing algorithms that determine how they categorize websites and rank them on the SERP (search engine results page). Remember, Google does not work for business owners, it is a business within itself and its primary function is to get users the information they need in the quickest way possible. So how do we make sure that Google favors your rankings on the SERP? Naturally, Google uses the words on your website to figure out what your site is about. Keywords are the words most relevant to your business. For example, a restaurant might use the keywords “Italian food” or “top restaurant in Los Angeles” to collect quality consumers. Google utilizes what web surfers are searching for and filters through your content to offer their users a quick and easy experience. So the careful implementation of these keywords will ultimately guide readers to your site. Great Web-Space Realtors, learn as much as they can about their target market and antisipate what they may search on Google. To avoid business owners from gaining internet monopolies and using black hat SEO strategies such as keyword stuffing Google crafted more complexed algorithms. Nowadays, in order for your website to rank your content must be keyword enriched, but also captivating enough to not only keep them on the page for longer as well as timely and relevant enough to keep them coming back. In addition to having great content on your website, your website itself must be innovative! Your website is your digital portfolio and should dazzle your guests with your products and services. The goal is to keep them on the page as long as possible then, of course, converting potential clients into actual clients. Did it make proper use of the visual hierarchy and CTA‘s? Can the layout be loaded on mobile devices without losing form? Websites of a feather can improve their SEO together. When you link to another website, it tells Google that the information on that website is important and related to your article. Use authoritative out-bound links to show that your topics are well-researched. When other sites link back to you, it tells Google that the information on your site is related to both related and credible. This will improve your rankings. However, not all links work well for SEO. Think of it as an endorsement, what type of companies do you want to endorse you and visa versa. Can SEO Help Earn Your Business More Money? Yes. Generally speaking, the highest rankings take about 4-6 months to achieve but you will start to see a shift in your rankings after the first month or so. With the right Search Engine Optimization tactics your website can work for you, and your business can reach its money making potential. SEO takes time, but the return on investments (ROI) speak for themselves. Don’t stress yourself out with digital marketing- hand that over to an experienced Web-Ranking Realtor and SEO Content Writing Specialist. The modern world is an overcrowded distraction. Even when you’re all alone your own thoughts can be exhausting. NoV’al Publishing also offers in-print, imaginative, get-away packages- we publish books in paperback, hardcover, and ebook forms. Our readers are our priority as we specialize in high-quality entertainment and innovative prose! Visit whenever you like with our state of the art, portable, mind-traveling devices. Nothing beats the feeling of cracking open a rich volume and getting lost within its musty pages! 4.5 star Amazon rated novels: Divine Apocalypse: The Beginning of the End and Chicken Caesar Salad for the Gay Soul by author La’Von Gittens can be yours today! See what it’s like to curl up between our covers.